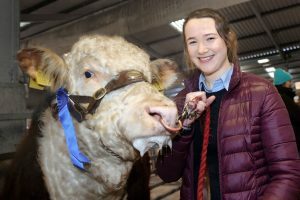 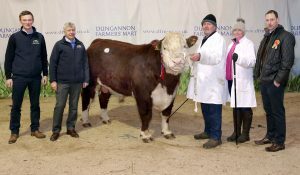 Breeders braved the elements as a thick layer of snow covered Northern Ireland to take part in the NIHBA Premier Show and Sale at Dungannon Livestock Mart. 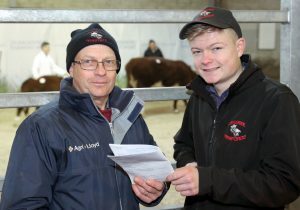 29 bulls and 5 females went under the hammer on Friday 19th January. 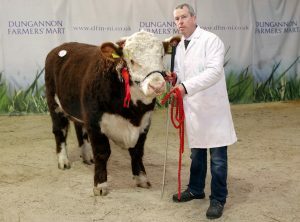 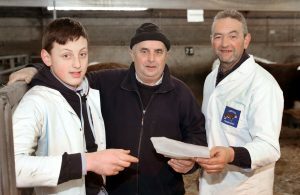 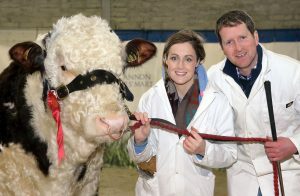 Taking overall Supreme Champion was John Taggart’s homebred Bull Carney Hill 1 Nectar, this April 16 Bull certainly impressed the judge on the day, Nectar didn’t disappoint in the sale ring making 2600 guineas and was purchased by Dickson and Sons of Drumquin with Reserve overall going to Nigel Heatrick’s Black Water Napoleon. 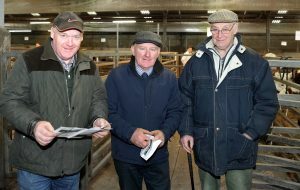 Nigel Bull Black Water Nelson also made the top price on the day of 2700 guineas who is now proudly owned by Derek McCrea of Bready, Strabane. 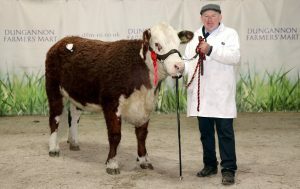 Other class wins went to Trevor Andrews from Larne with Mountview 1 Finn in the September 16 born Bull Class. 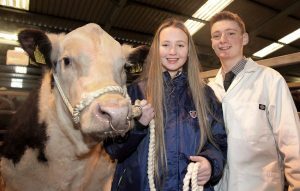 Drumnamether McCaw owned by PJ Cully took first in the March 2016 class with Glen Mortons Nancy 1 Angus 2nd winning a strong May 2016 class. 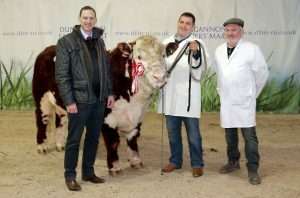 Winning the female class on the day was Ian McFadden with his smart October Heifer Bellshill 1 Nancy who topped the female price at 1900 guineas again going to Dickson and Sons of Drumquin. 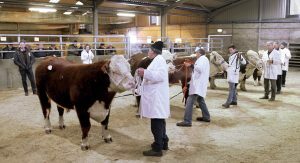 Sale average in the day was 2450 for bulls and 1700 for females despite a lower than expected turn of buyers due to the adverse weather.